The Speaker of the House of Commons says he can’t rule on whether Jody Wilson-Raybould and Jane Philpott’s expulsion from the Liberal caucus violates federal law because his authority “does not extend to caucus matters.” Geoff Regan’s decision Thursday answered a question this week from Ms. Philpott, one of the ministers who have quit cabinet over the SNC-Lavalin affair, about whether the expulsions contravened the Parliament of Canada Act. Prime Minister Justin Trudeau could have avoided the controversy if he accepted responsibility for the SNC file and apologized in February, Ms. Wilson-Raybould told The Globe and Mail last week. She alleges that, when she was justice minister, Mr. Trudeau and his staff applied inappropriate pressure to have her settle a bribery and fraud case against SNC out of court. 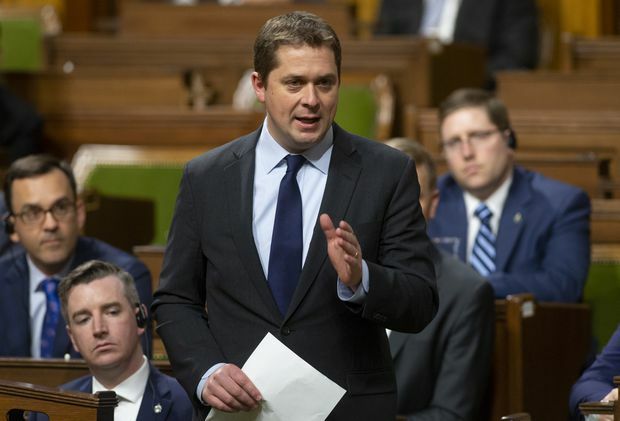 Conservative Leader Andrew Scheer repeated his March 29 statement on the SNC-Lavalin affair outside the House on Wednesday, without the legal protections against defamation that normally apply in the legislature. It was an apparent challenge to Justin Trudeau to sue for libel, as the Prime Minister’s lawyer earlier suggested might happen. What is SNC-Lavalin? Based in Montreal, SNC-Lavalin is one of the world’s largest engineering firms, active in more than 160 countries. In Canada, where it employs about 9,000 people, it’s responsible for things like Quebec’s James Bay hydroelectric project and the Canada Line transit system in Vancouver. The Canadian government has invested heavily to help the company succeed over the years: From 2002 to 2018, the company got at least $2-billion in loans from Export Development Canada, making it one of the biggest beneficiaries from the federal export agency, according to data obtained by The Globe. But beyond Canada’s borders, some of SNC’s projects, and the methods allegedly used to obtain them, have gotten it into trouble: Allegations of bribery in Bangladesh got the company barred from World Bank-financed projects in 2013, and this year, a former SNC CEO pleaded guilty to breach of trust in the corruption scandal surrounding a Montreal hospital project. Why does it matter so much? SNC is perceived to be a major breadwinner for Canada’s (and particularly Quebec’s) economy, but in terms of job numbers, the picture is more complicated. The company has fewer than half as many Canadian jobs now than it did in 2012, and there are four times as many employees outside Canada than inside. Meanwhile, its legal troubles, leadership changes and political hurdles to its business in Saudi Arabia have cost it billions in revenue and left it potentially vulnerable to foreign takeover. SNC is one of 10 companies the Quebec government has deemed strategically important to the province, and Premier François Legault has said he wants to prevent its headquarters from leaving Quebec. That makes the firm politically important to Prime Minister Justin Trudeau too: His Liberals’ re-election hopes in 2019 will hinge on Quebeckers’ support, and any threat to one of Quebec’s major employers could have dire consequences for his government. 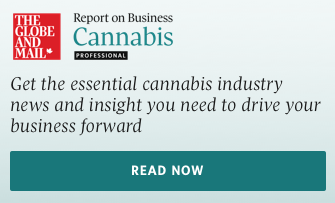 figure in the company’s 2018 annual report. numbers from an overall figure in the company’s 2018 annual report. subtraction of the Canadian and British numbers from an overall figure in the company’s 2018 annual report. What did it do in Libya? During the rule of the late dictator Moammar Gadhafi, SNC was involved in major public-work projects in the North African country, including a prison, an irrigation system and a new airport. In 2011, Swiss authorities and the RCMP began investigating claims that SNC had been bribing Libyan officials to get access to construction contracts. A former SNC executive vice-president, Riadh Ben Aissa, pleaded guilty in Switzerland to bribery and money-laundering in connection with SNC’s Libyan projects, which he admitted involved bribes to Mr. Gadhafi’s son, Saadi. SNC has admitted there was wrongdoing in Libya, but blames it on rogue employees who have since left the company, and says it has cleaned up its internal practices since then. Who is prosecuting the company? Federal prosecutors charged SNC in 2015 with attempted bribery and fraud over its activities in Libya from 2001 to 2011. If convicted, SNC would be barred from federal government contracts for 10 years. SNC tried to strike a deal with the prosecutors, what’s called a “deferred prosecution agreement.” DPAs – an established practice in the United States and Britain, but introduced to Canada only last year through new corporate-crime legislation – let companies admit wrongdoing, pay compensation and, in exchange, avoid trials that might be more costly or damaging to their reputations. On Oct. 10, 2018, the Public Prosecution Service of Canada announced that there would be no such deal, though The Globe later learned through court documents that SNC was informed of that decision on Sept. 4. In depth: How much does SNC-Lavalin actually matter to the economy? Explainer: What are deferred prosecution agreements? What happened to Jody Wilson-Raybould? Feb. 27, 2019: Jody Wilson-Raybould prepares to testify before the House of Commons justice committee about the SNC-Lavalin affair. Jody Wilson-Raybould was the federal justice minister for three years, the first Indigenous woman to hold that post. In January, 2019, Mr. Trudeau reassigned her to Veterans Affairs in a cabinet shuffle, giving the justice portfolio to David Lametti. She didn’t last long in the new job, quitting from cabinet on Feb. 12, though she continued to serve as MP for Vancouver-Granville. 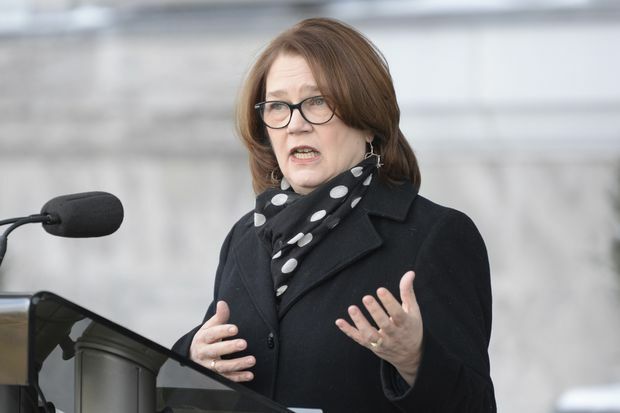 Then, as the SNC affair dragged on, the Liberals booted her and former cabinet colleague Jane Philpott (more on her below) from caucus on April 2. She faced four months of “consistent and sustained” pressure from the PMO, PCO and Finance Minister’s office to “politically interfere” in the SNC case, despite her insistence that overruling the prosecutors for political reasons would be inappropriate. Asked several times if she thought this pressure was illegal, she said no. Mr. Trudeau, Mr. Wernick, PMO officials and the Finance Minister’s chief of staff repeatedly reminded her or her staff about the then-upcoming Quebec provincial election. They feared a threat that SNC would move its Montreal headquarters, costing thousands of jobs, which would be politically disastrous to the Liberals. Mr. Trudeau's principal secretary, Gerald Butts, at one point told her chief of staff there "is no solution here that doesn't involve some interference," and that the Prime Minister's chief of staff, Katie Telford, said "we don't want to debate legalities any more." According to directives given to her then deputy minister, the next justice minister, David Lametti, would have conversations with Mr. Trudeau stressing that the SNC file was a priority. We are treading on dangerous ground here – and I am going to issue my stern warning – because I cannot act in a manner and the prosecution cannot act in a manner that is not objective, that isn’t independent. This is the about the integrity of the government. ... This is going to look like political interference by the Prime Minister. What is the Public Prosecution Service of Canada? 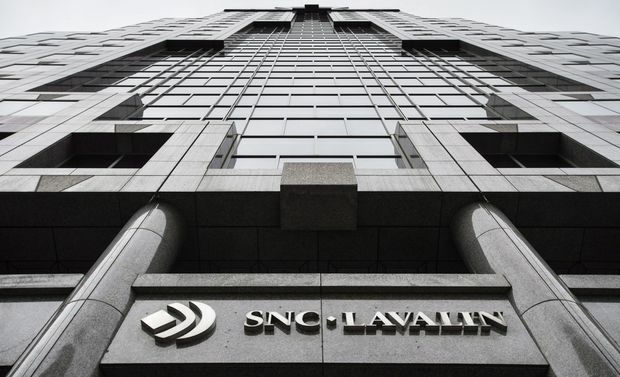 At the heart of the SNC-Lavalin controversy is the PPSC, an independent agency that oversees federal prosecutions and looks into violations of the Canada Elections Act. Within that mandate, the PPSC’s director, called the Director of Public Prosecutions, essentially acts as the attorney-general’s deputy (though there is also a deputy justice minister in the House of Commons, currently Nathalie Drouin). The justice minister can’t give the DPP orders on election matters, but in any other kind of case, the minister can issue directives to them or even take charge of prosecutions. So in the SNC case, it would be within the justice minister’s power to ask the DPP to reach a settlement even if they had previously decided not to. And this could still happen: Mr. Lametti said on Feb. 10 that it’s still possible he could push for an out-of-court settlement. It is made up of the PM and the PM’s top political staff, who advise the PM. Oversees Canada's justice system. Helps the federal government to develop policy and to draft and reform laws as needed. Supports the PM and Cabinet. Led by the Clerk of the Privy Council, it helps the government in implementing its vision, goals and decisions. Prosecutes federal offences and provides legal advice and assistance to law enforcement. Watch: Prime Minister Justin Trudeau denies on Feb. 7 that his office 'directed' Jody Wilson-Raybould to help SNC-Lavalin avoid a criminal prosecution. The allegations reported in the story are false. At no time did I or my office direct the current or previous attorney-general to make any particular decision in this matter. As I’ve said, at no time did we direct the attorney-general, current or previous, to make any decision whatsoever in this matter. As the Prime Minister said earlier today, neither the Prime Minister nor his office put my predecessor or myself under pressure nor gave any directives. She confirmed for me a conversation we had this fall where I told her directly that any decisions on matters involving the director of public prosecutions were hers alone. Which is why Jody Wilson-Raybould asked me if I was directing her or going to direct her to take a particular decision, and I of course said, ‘No,’ that it was her decision to make and I expected her to make it. I had full confidence in her role. If you boil it down for Canadians as to what is going on here with the facts that we have and all of the facts that I know from my participation in meetings and conversations, we are discussing lawful advocacy. I therefore completely disagree with the former attorney-general’s characterization of events. I am firmly convinced that nothing happened here beyond the normal operations of government. Highly trained legal staff in PMO worked closely with PCO’s legal team on all aspects of the file ... people may have a caricature in their mind based on media coverage about what a relationship between a minister and PMO staff looks like. This was certainly not that. What has become clear over the various testimonies is over the past months there was an erosion or trust between my office, my former principal secretary and the former attorney-general. I was not aware of that erosion of trust. As Prime Minister and leader of the federal ministry, I should have been. Watch: Mr. Trudeau addressed the SNC-Lavalin affair on March 6, saying he didn’t realize there was an “erosion of trust” between his office and Ms. Wilson-Raybould. Ms. Wilson-Raybould hasn’t been the only one to leave an important political post since the SNC controversy began: It’s also cost Mr. Trudeau another cabinet minister and a top aide. Here’s more about them. Jan. 14, 2019: New Treasury Board president Jane Philpott addresses the media after a swearing-in ceremony at Rideau Hall. Ms. Philpott was, along with Ms. Wilson-Raybould, dropped from the Liberal caucus on April 2. Dec. 9, 2016: Principal secretary Gerald Butts, right, and chief of staff Katie Telford watch their boss, Mr. Trudeau, speak at a first ministers' meeting in Ottawa. I categorically deny the accusation that I or anyone else in his office pressured Ms. Wilson-Raybould. We honoured the unique role of the Attorney General. At all times, I and those around me acted with integrity and a singular focus on the best interests of all Canadians. ... Any accusation that I or the staff put pressure on the Attorney General is simply not true. Canadians are rightly proud of their public institutions. They should be, because they work. But the fact is that this accusation exists. It cannot and should not take one moment away from the vital work the Prime Minister and his office is doing for all Canadians. My reputation is my responsibility and that is for me to defend. It is in the best interests of the office and its important work for me to step away. The exit of Mr. Butts, an important engineer the Liberals’ 2015 election victory, leaves Mr. Trudeau without one of his two top aides at a crucial time ahead of the 2019 election. The other top aide, chief of staff Katie Telford, is now the most senior political operative in the PMO. She is expected to step aside for campaign work in the leadup to the October election race. Conservative Leader Andrew Scheer rises during Question Period on Feb. 7, 2019. Opposition: After Ms. Wilson-Raybould’s testimony, Conservative Leader Andrew Scheer called on the Prime Minister to resign, saying he had “lost the moral authority to govern.” NDP Leader Jagmeet Singh has called for a public inquiry of the SNC-Lavalin affair. Liberal caucus: MPs in Mr. Trudeau’s party have generally kept quiet about Ms. Wilson-Raybould’s allegations or publicly backed the Prime Minister. The Globe canvassed 179 MPs to see what they thought: More than 30 responded, with most defending Mr. Trudeau’s actions. Here’s a compendium of their responses. SNC-Lavalin: CEO Neil Bruce told The Globe he was unaware of any political pressure related to their DPA request, and didn’t comment on how Mr. Lametti would handle the file as justice minister. House justice committee: This committee conducted a broad study of SNC and deferred prosecution agreements in general, not focused specifically on the allegations of interference. It voted on March 19 not to hear any further witnesses, despite motions from the opposition to keep going. Before that, it heard testimony from Ms. Wilson-Raybould on Feb. 27 and Mr. Butts on March 6, and twice from the Privy Council Clerk and deputy justice minister. Ethics commissioner: At the behest of two NDP MPs, Ethics Commissioner Mario Dion announced on Feb. 11 that he would look into the matter under the terms set out in the Conflict of Interest Act. Anne McLellan: On March 18, Mr. Trudeau named a former Liberal justice minister as a special independent adviser to look into whether the roles of justice minister and attorney-general should be separated. She’s due to give Mr. Trudeau her findings by June 30. OECD: In 1999, Canada signed on to a global anti-bribery convention overseen by the Organization for Economic Co-operation and Development. The OECD’s working group on bribery announced on March 11 that it is concerned by the SNC allegations and would monitor the outcome of the various investigations. RCMP: Mr. Scheer of the Conservatives wrote to the RCMP’s Commissioner on Feb. 28 asking for an investigation. But Ms. Wilson-Raybould has not alleged any criminal wrongdoing, and legal experts are divided on whether a police probe is warranted. Mr. Trudeau has said that no one from the RCMP has contacted him or his staff in regard to SNC. Editorial: For Justin Trudeau, is it too late now to say sorry? Margaret Wente: Who do you trust, Jody or Justin?